Members of this Guild provide worship leadership assistance during our Sunday morning services. Training for this ministry is important and satisfying. 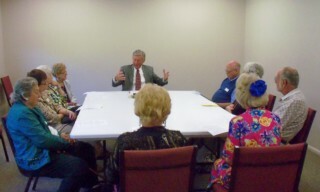 Pastor Wally meets with this group in the new Church Library. It is never too late to join.